We strive to give the most 3 dimensional experience on our website with use of images, videos and brochures to make every angle & degree of detail of the range of hot tubs clear to the buyer. At Hot Tub Suppliers we are also clear that this might not be enough, so we have 2 options to get an even closer look to inspect the detail and quality of the range. 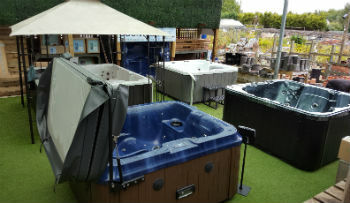 The garden centre is a chance to view the hot tubs on display in a nice and picturesque setting, the hot tub are rotated so the models change frequently with Poseidon Deluxe in pebble grey on display at present joined recently by the Countesa again in pebble grey & mosaic blue, the Zeus Deluxe in mosaic blue & midnight grey & the Emperor Deluxe & Aspire in the special order mother of pearl. Recently the range has seen the addition of the Hera Deluxe plus the Perseus BP Deluxe, both models displayed are in the pebble grey colour. From the range not only can you view the quality of the shell, the extra insulation, the seat depth & height of our hot tubs but also see the different colour options available in shells & cabinets . There are helpful staff to assist you but no pushy commission driven staff so you can visit and see the hot tubs with a calm atmosphere which befits the surroundings. Greenacres is open 7 days a week, Monday to Saturday 9.00am to 5:30pm & Sundays 10.00am to 4.00pm. 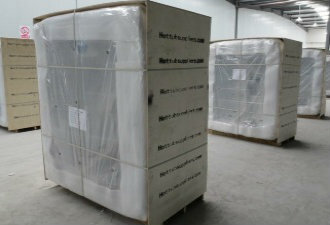 We have a distribution centre where the hot tubs are stored and distributed to customers . A visit to the centre would enable the chance to see a hot tub and also have a chance to discuss delivery access plus details about the hot tub with a member of the team. Centre viewings are by appointment only so please call or email us at customercare@hottubsuppliers.com to enquire about this option.